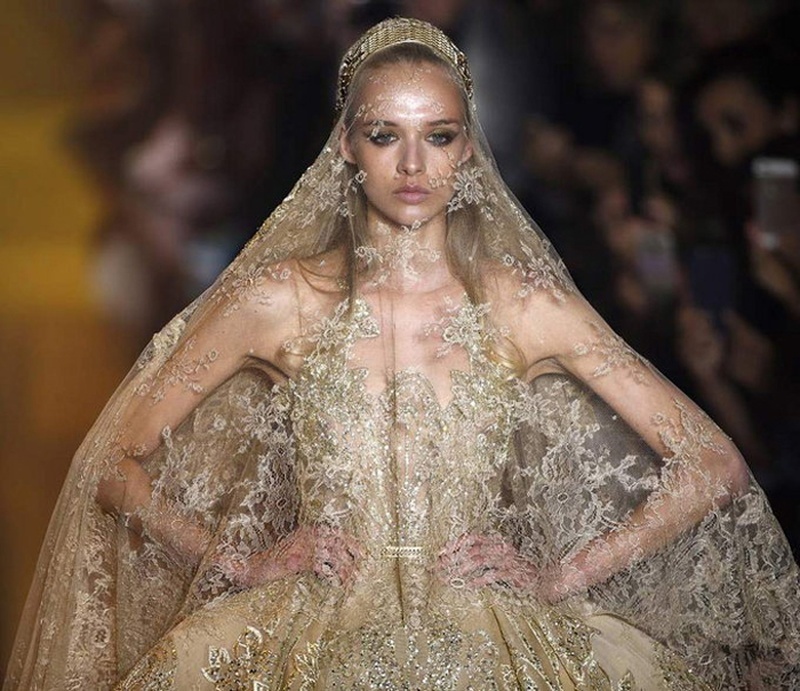 Self-taught fashion wizard Elie Saab dropped his latest couture collection called Enter India, inspired by the whims and fancies of Incredible India – mainly the saree and lehenga. Every outfit designed is sure to fit into the Indian wedding scene – be it the Sangeet, a pool side mehendi or even a classic cocktail party. Elie Saab and Indian Bridal Wear? Who knew! His notes explained that these designs were a turn-of-the-last-century Englishwoman on a trip to the subcontinent. “India is her backdrop and her inspiration for a new blend of formalism and ease, opulence and elementary lines.” Saab as experimented greatly with this new collection that featured pastel greys and royal blues and bold hues of gold. Mainly inspired by the drap of gorgeous indian dupattas. Saab picked out this feature and blended it with the trending Naked Dress and added his classic touch of shimmer and embellishments. Scroll down to see all the brilliance that Elie Saab is!